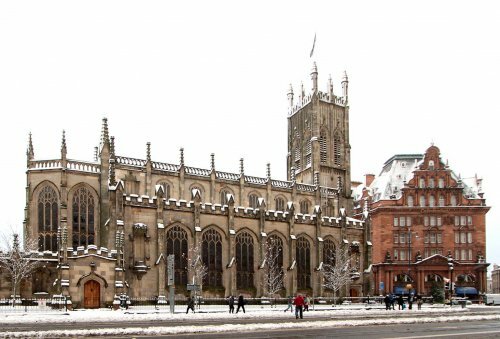 We are pleased to invite you, on 5 December 2018, to a European Christmas Carol Service at the Church of St. John on Princes Street, to mark the 200th anniversary of "Silent Night". We are indebted to Rev. Markus Dünzkofer for kindly agreeing to host a Carol Service at the St. John’s Church. We are honoured to be joined by the Minister for Europe, Migration and International Development, Ben Macpherson MSP. The evening will showcase popular carols and Christmas traditions from right around Europe. The carols will be sung in their original language. Finger food from diverse European countries will then be available to try. Come along with your friends and family — everyone is welcomed! Advanced booking not required. For more information, contact the European Commission in Scotland’s Information Officer, Veronica Mihai, at Veronica.MIHAI ec.europa.eu or visit the Commission’s Facebook page. This carol service is delivered by the European Commission in Scotland with the participation of the Consulate General of France in Scotland and the Institut français d’Ecosse.